Photographer Nicolas Beauchamp and other bridge enthusiasts need your help in solving this case. This towering viaduct, which features a deck plate girder bridge, supported by A-framed towers, was found recently by accident. 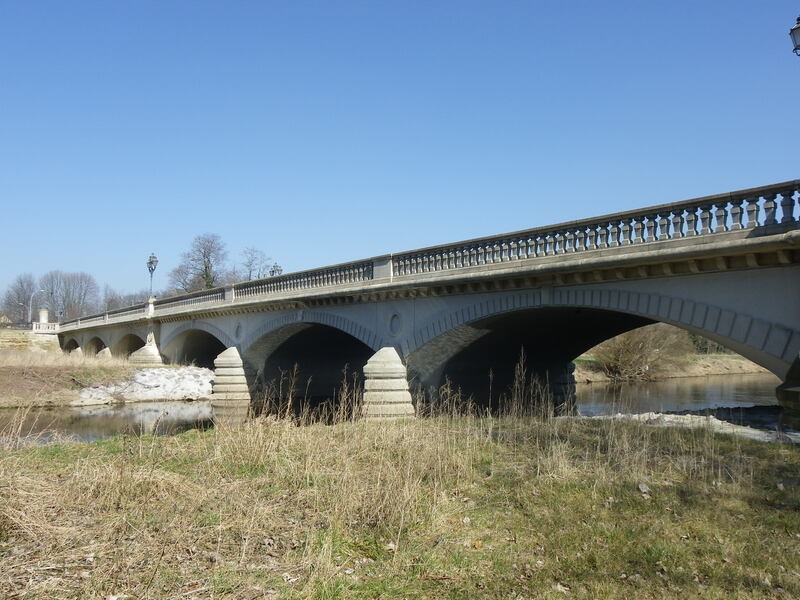 Given its age and the number of years it has been sitting abandoned, the viaduct appears to be between 90 and 100 years old, and it features a pair of finial towers at the center of the bridge deck. Given the density of the forest, one needs to narrow down the location of the bridge to the western half of the US. As there is speculation that the bridge used to go along the Mother Highway US 66, this means that somewhere in Oklahoma, New Mexico or eastern California was where this bridge was located. It is possible that because of its narrowness, it may have been the first highway crossing before it was relocated on a different alignment, where the newer highway was wider and had two-lanes accommodating traffic. One cannot even rule out the possibility that prior to it becoming a highway crossing, it used to serve rail traffic, providing train service to southern California from an unknown destination in the East. 3. The viaduct may have been a railroad crossing before becoming a highway one. 4. The bridge may have been part of a major highway before it was rendered functionally obsolete. Many claim that it was part of US Hwy. 66 but other highways may have played a role. 5. The bridge is located in southwestern US- if confirmed with the Route 66 theory, then it is located in Oklahoma, New Mexico or California. Arizona has mostly desert regions with little trees, making its location more unlikely. 1. Where exactly is the bridge located? 2. 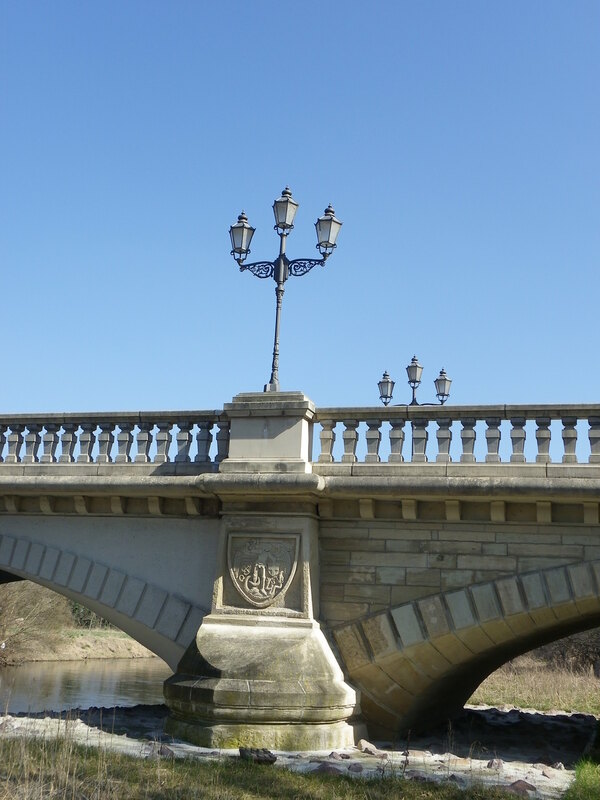 When was it exactly built and who was the bridge builder? 3. If it used to serve a railroad and/or main highway, which routes were they? We have to keep in mind that despite state aid highways having existed since the turn of the century in general, the US highway system was introduced in 1926, the same year that US 66 was designated as a highway connecting Chicago with Los Angeles via St. Louis, Tulsa and Santa Fe. What do you know about this bridge? Provide your comments here as well as in the Chronicles’ social media pages. Whatever information is useful will be added here. Mystery Bridge Nr. 106- A railroad bridge and a street bridge in the park. 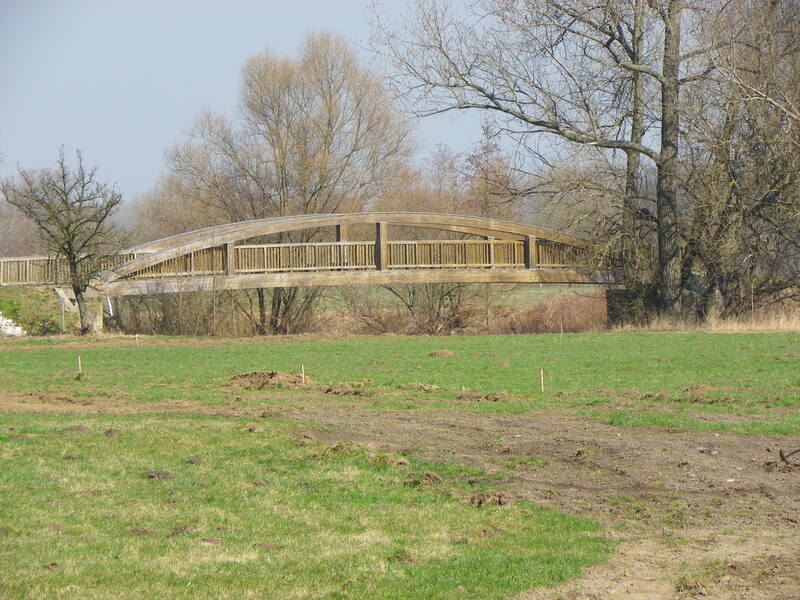 The 106th mystery bridge takes us back to western Saxony and in particular, the southern end of Zwickau, where at the junction of Fuchsgraben and Saarstrasse near the Glück-Auf Shopping Center, we have three bridges as part of the mix. Two of them are deck plate girder bridges (although one of them I was able to photograph during a bike tour back in September) that appear to have been dated back to the early 1920s, and it is unknown who built these structures. 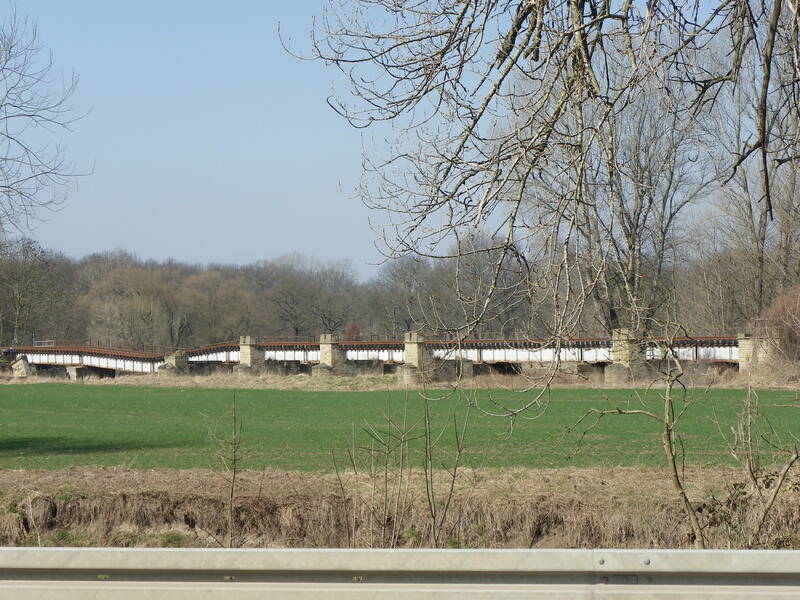 Each of them span Saarstrasse and have a length of 40 meters. One of the spans serves regional train service to Aue. Even more interesting is a short, but rather beautiful concrete bridge located on the west end of the viaduct. 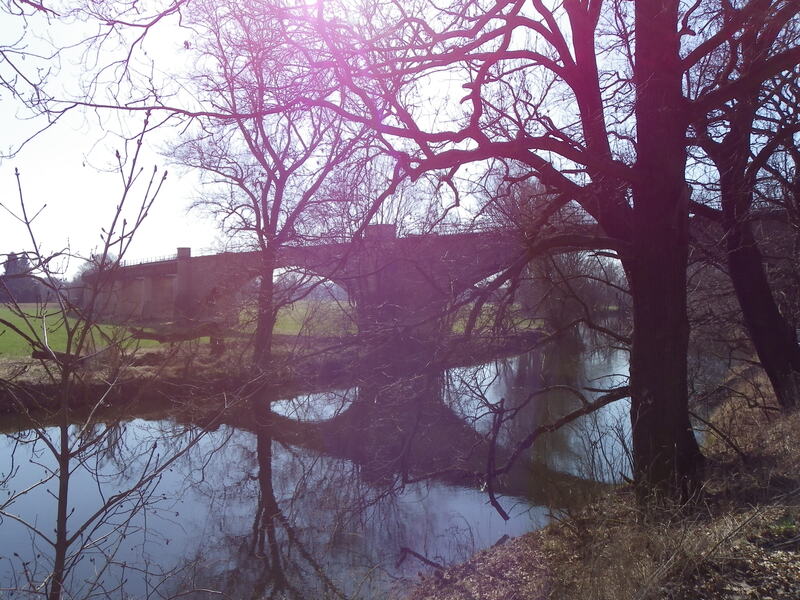 It spans a creek that empties into the Zwickau Mulde at the Pöhlau Railroad Bridge and appears to be a box culvert. Yet the railings appear to have a Art Greco design, which is rather antique given its age. Bridges with Art Greco designs were common beginning in 1910 and while some served as railings for box culverts due to its short length, others functioned as a T-beam bridge, especially those with a length of more than 25 meters and whose railings are thick enough to support the roadway. 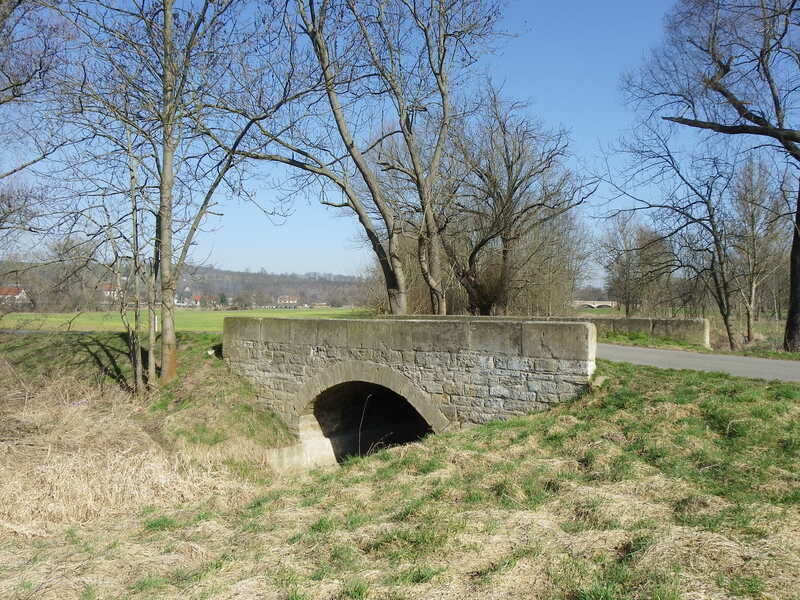 Given its age, combined with its wear and tear, it is likely that the 10-meter long box culvert at Fuchsgraben is at least 85-90 years old. 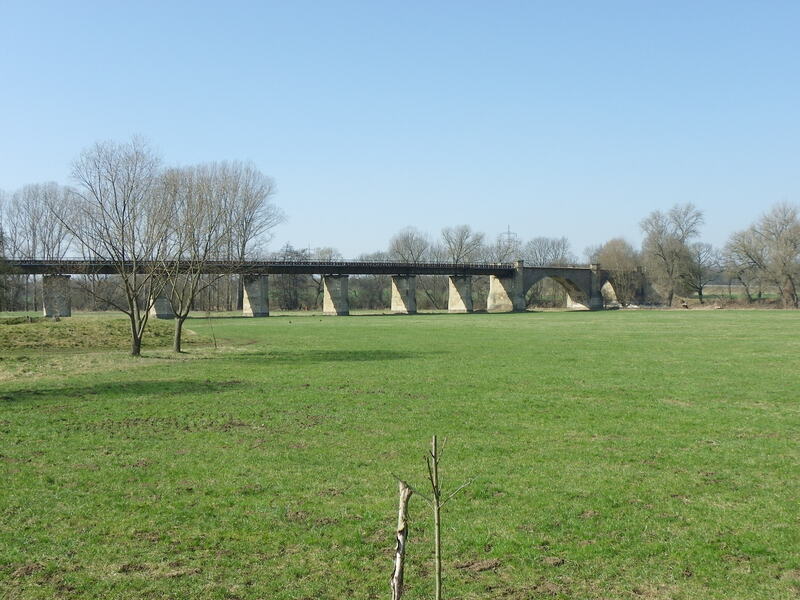 That structure has just been reincorporated into the city’s bike trail network, connecting Zwickau’s City Center and the suburbs of Planitz: Neu, Ober and Nieder. 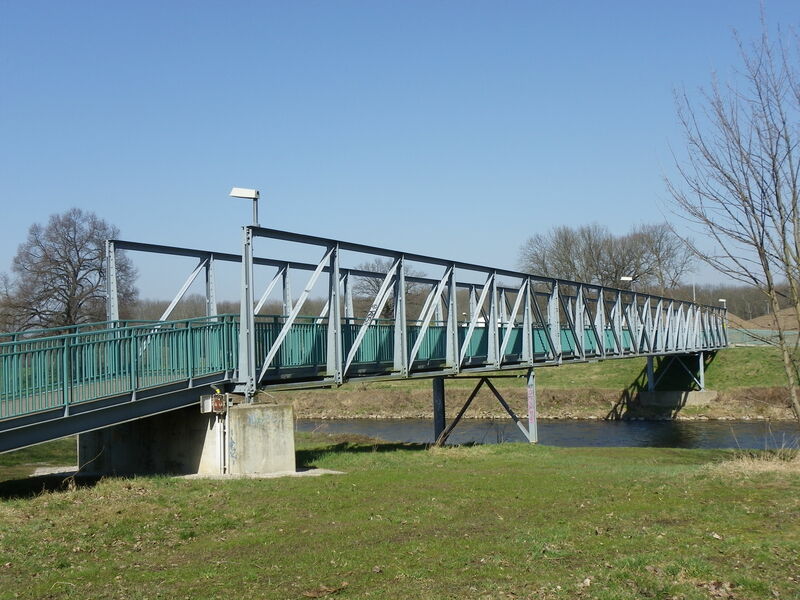 The city has plans to expand the network and make biking easier and safer for residents who live in these areas, connecting them with the existing main route along the Zwickau Mulde River. 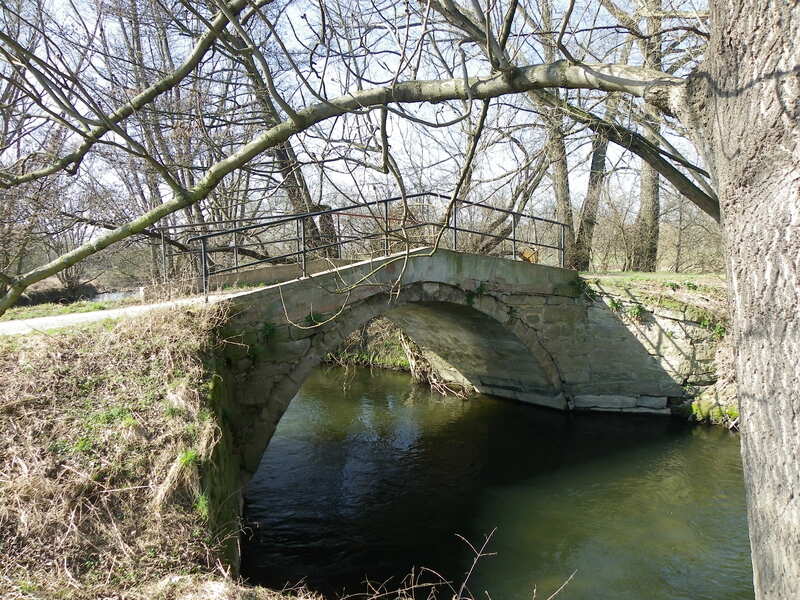 If you know more about these three bridges, feel free to comment on them or provide some information via e-mail. 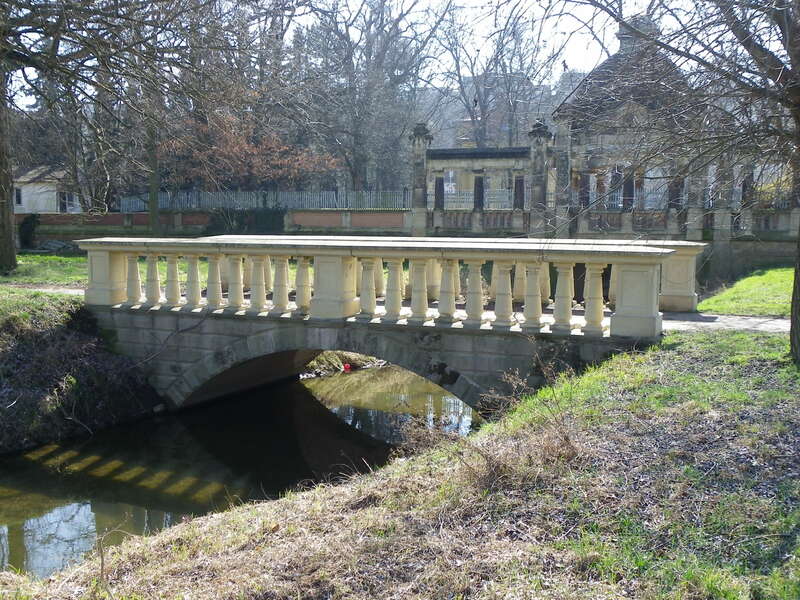 The tour guide on Zwickau’s bridges will be updated to include this and a couple additional bridges found and documented, so any help would be much appreciated. 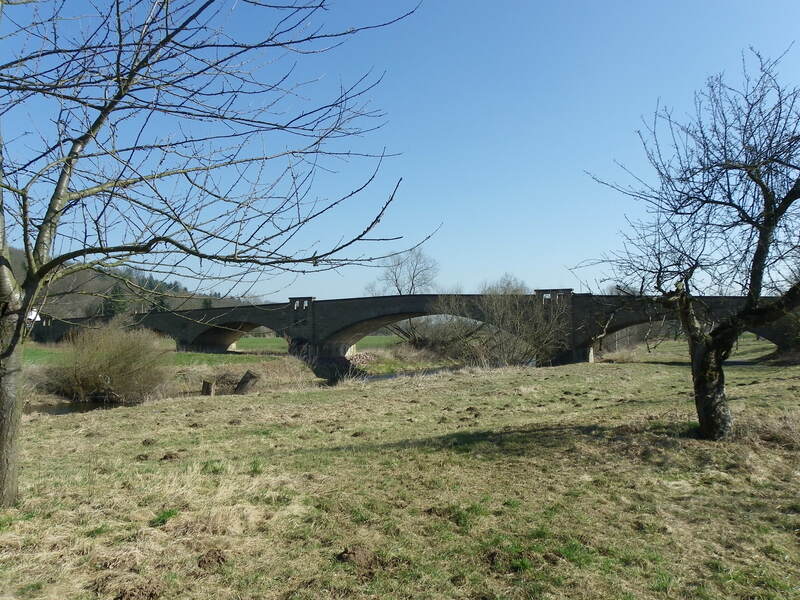 Three more bridges spanning the Zwickauer Mulde River and its tributaries in western Saxony are about to get replacements over the next three years. 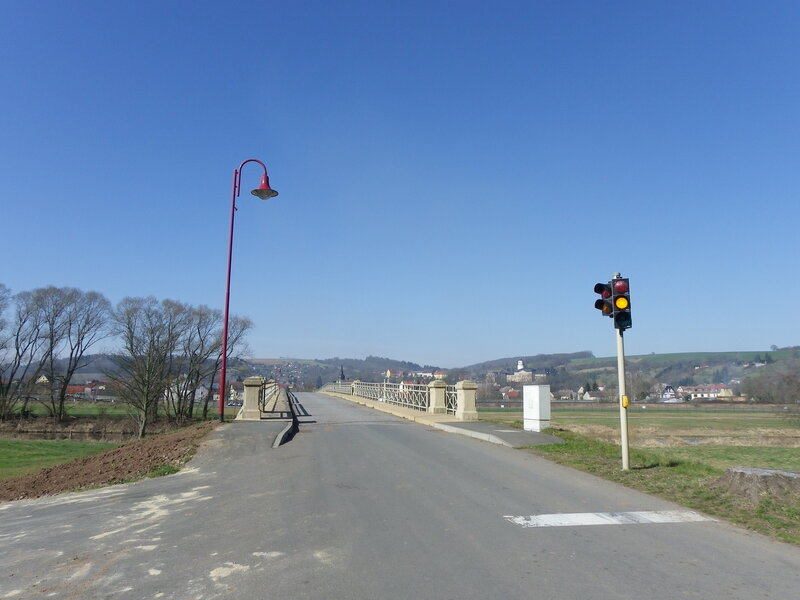 Apart from the crossing at Schlunzig near Glauchau, a crossing just east of Schneppendorf Bridge at Crossen are going to get makeovers, going from a bland, Communist style structure to a modern but fancier one that is attractive to tourists. 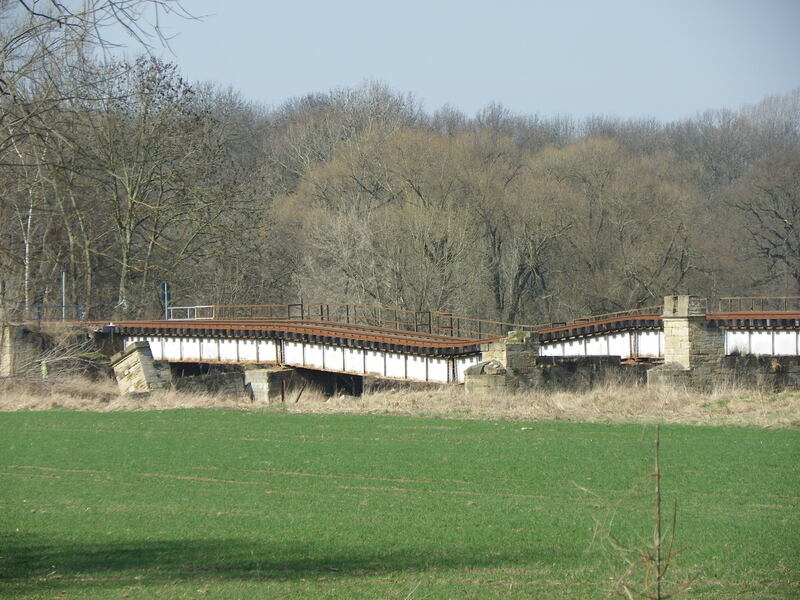 The third crossing to be replaced is this one in Cainsdorf, located south of Zwickau. Built in 1929, the two-span steel deck plate girder design is located just east of the train station and is a key bridge for all vehicles, including bikes. Sadly the 200 meter long bridge has been suffering from structural decay to a point where it was closed for emergency repairs this past fall and is now reopened to traffic but as a one-way crossing, going at 10 kph and with a 3.5 ton weight limit. 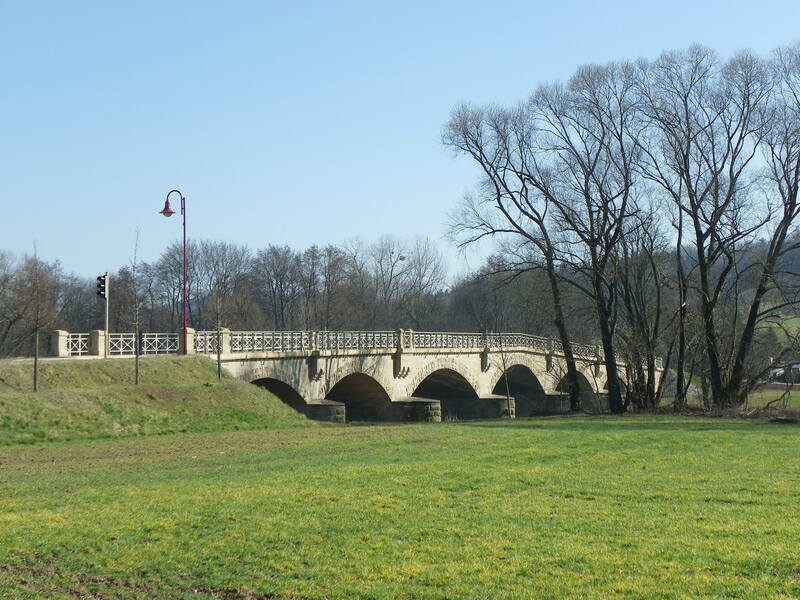 The Zwickau City Council has just recently approved a measure for not only one, but two new crossings to replace the Cainsdorf Bridge. 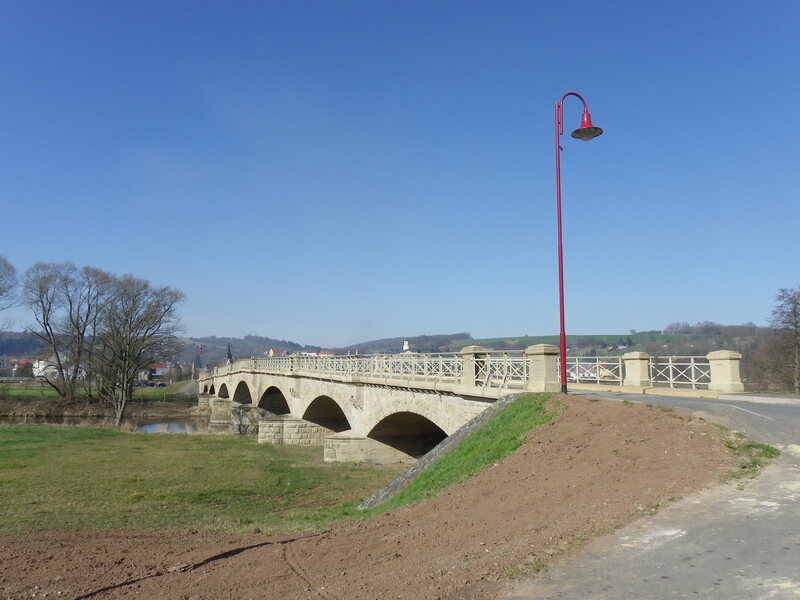 At a cost of 14 million Euros ($20 million), construction will begin next year to build a new bridge, 300 meters north of the current structure. 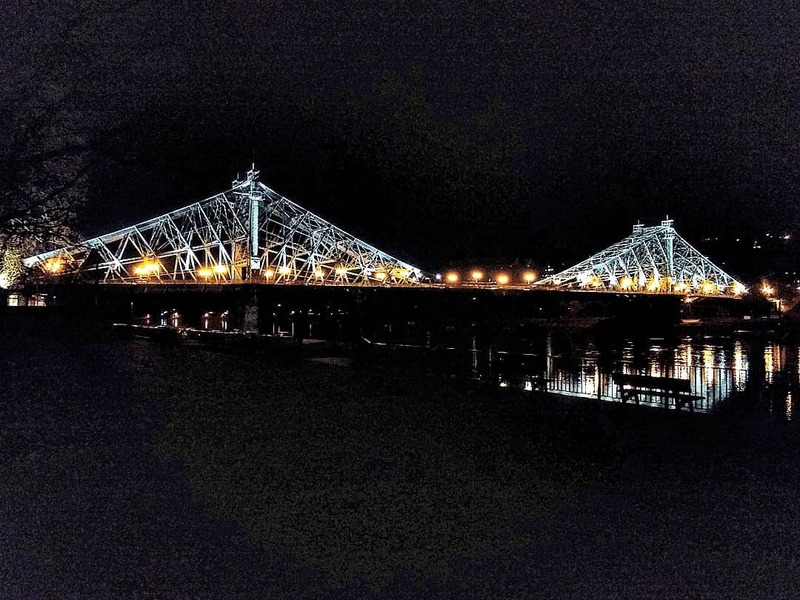 The bridge will remain open during the time of construction with the expected completion date being between 2020 and 2021. After the new bridge opens to traffic, the old one will be torn down and replaced with a pedestrian/bicycle bridge at its location. 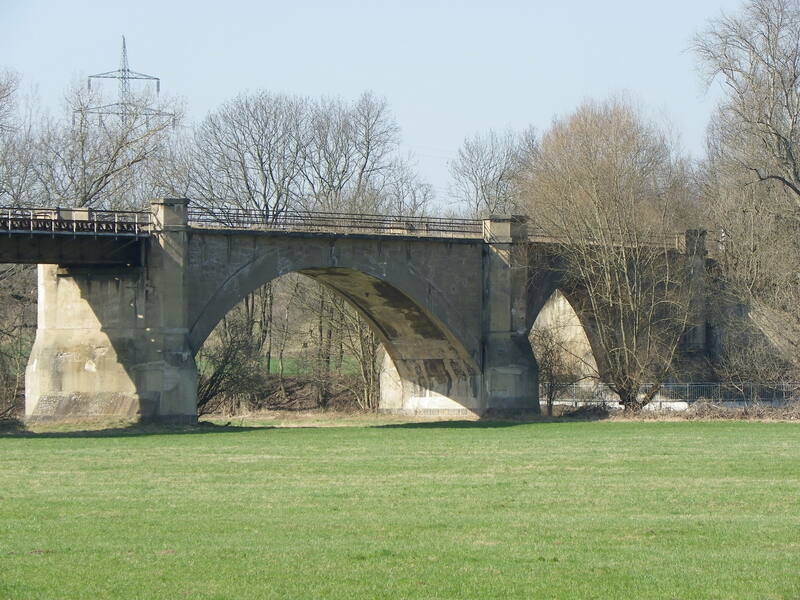 The design of the two bridges have yet to be clarified, however given its track record for having fancy bridge crossings, as seen at Lunzenau, Rochsburg, Wolkenburg, and even in neighboring Wilkau-Hasslau, chances are the new crossing for pedestrians and cyclist will be a modern but really fancy crossing which will make the train station located next to the present structure more and the Zwickau Mulde Bike Trail which passes the bridge even more attractive than before. 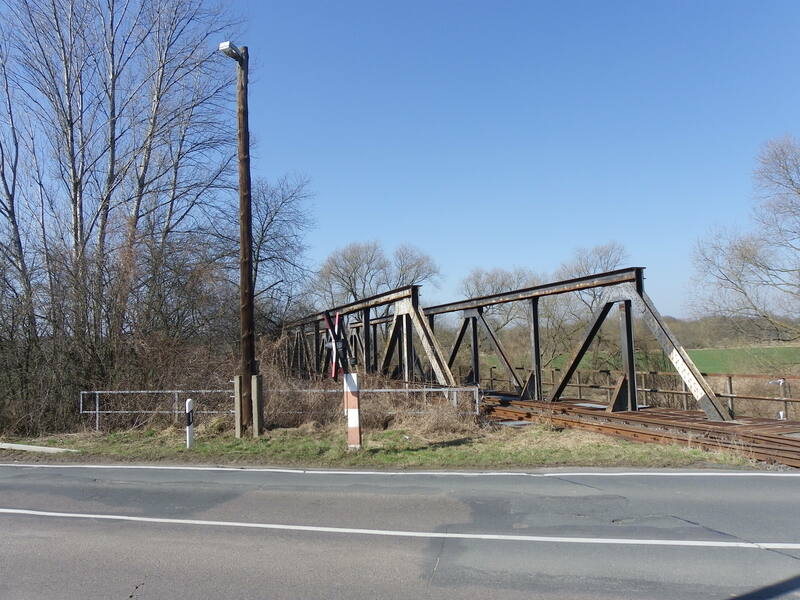 The project will most likely include reconstructing portions of the bike trail (which is mostly a dirt path) as well as the street running parallel to the rail line connecting Aue and Zwickau. 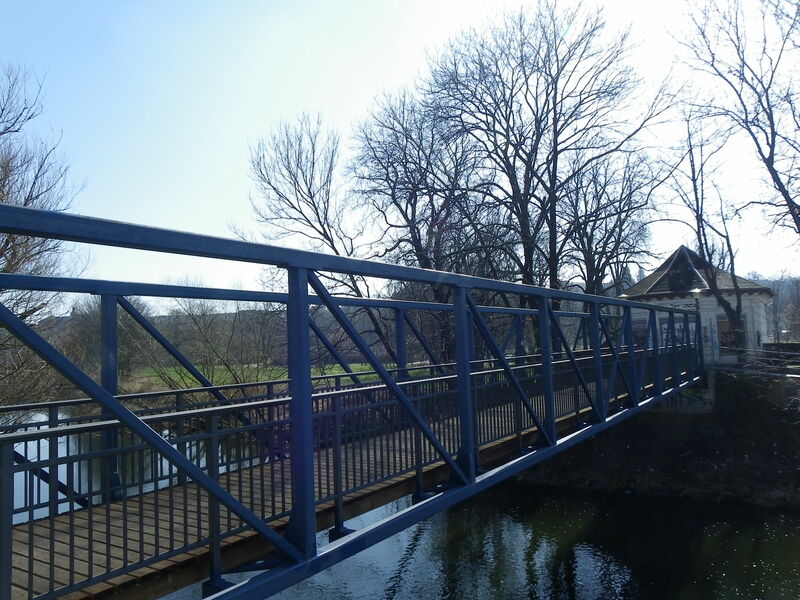 In either case, many people, including commuters, cyclists and locals will no longer have to wait on the bridge at the traffic light without having to fear of the bridge’s collapse. With the realignment of the street and a new bridge for cars, people can drive to and from Zwickau more safely than in its current arrangement. And even more so for cyclists, as they will not have to worry about waiting to cross the tracks and main street. 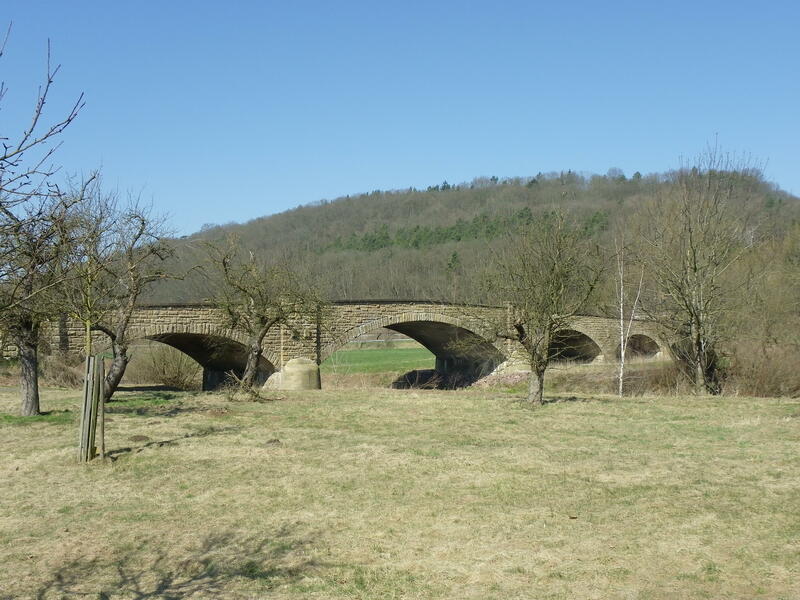 A win-win for the Ore Mountains which already has a good track record for fancy bridges.